Designed for use in farrowing crates, Double L PVC Creep Dividers have many structural and performance benefits. Besides being more economical, PVC panels are easy to install, light, strong, versatile, durable, and easy to clean. Warmer than metal, Double L PVC dividers are an ideal material for creep dividers. 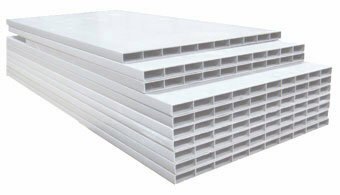 PVC divider panels are 20" high by 7/8" thick and can be field cut to fit.